Boe is a 2-year-old miniature flowered bearcoat shar-pei who was the smallest in his litter. Boe lives in San Francisco with a loving family. Boe is a unique dog with beautiful two-shaded fur. His entire face and head is brown while his body white with brown spots. 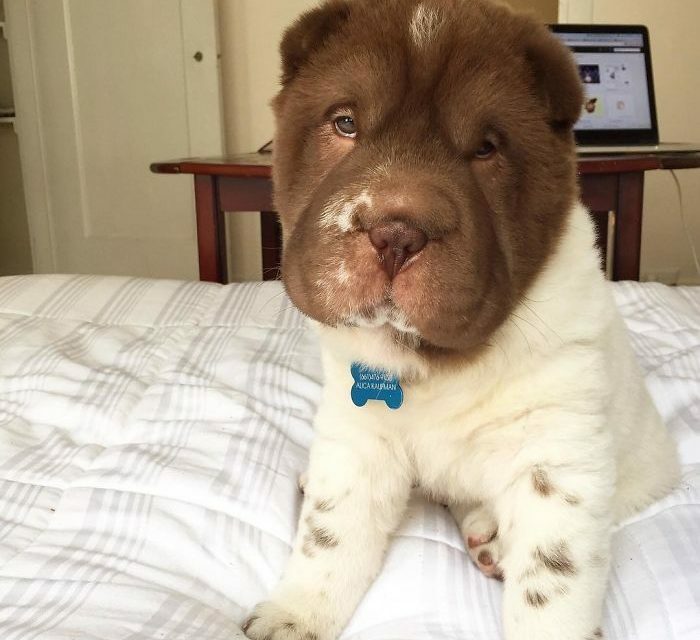 People can easily confuse the adorable pup for a bear at first glance and some might even say that he looks like a hippo with fur. #TBT When I couldn't find where my dang moosfasa was.